I needed a fast vegetable to go with dinner and had some romaine lettuce and threw this together, and it was just delicious. This served 2 adults and 1 child. 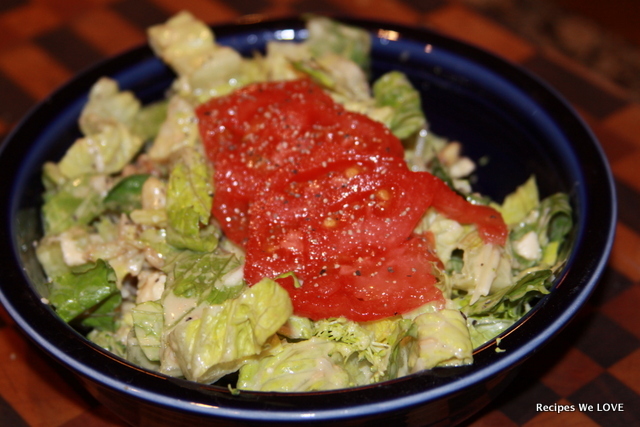 In a large bowl add lettuce, broccoli, cheese, and walnuts. 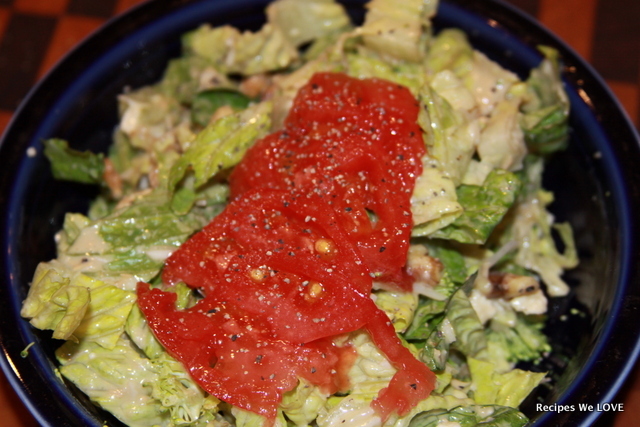 Then add the dressing (the amount will depend on your tastes). 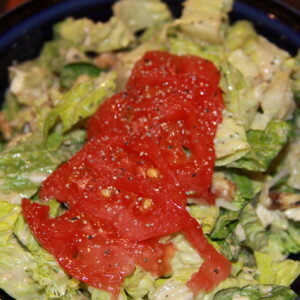 Once in your individual serving bowls top with thinly slice tomatoes and add a little salt and pepper on the tomatoes.